We live in the old farmhouse at Lelant Downs, near to St Ives and Carbis Bay. Our registered smallholding is about 12 acres. 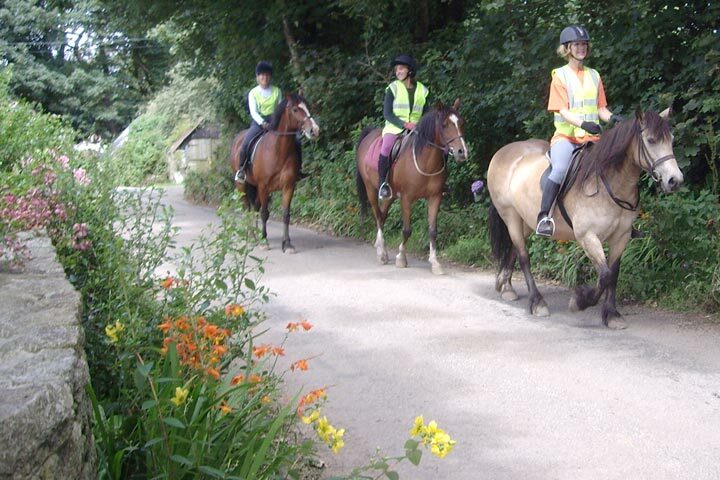 Coombe Farmhouse is also conveniently located for Hayle and Penzance. There are four bedrooms available on a "per room per night" tariff. See the ACCOMMODATION page for our 2019 tariffs. Rates vary from £82 to £86 per room and the single room is £50. Our Bed and Breakfast is rated (2018) 4 stars by the AA and has been approved by the Cornwall Tourist Board with a Quality Award. Built of local granite, Coombe Farmhouse sits in a secluded valley with sweeping views across the beautiful, unspoilt local farmland. Tea is served when guests arrive. Our bedrooms are comfortably furnished, with cosy beds, cotton sheets and patchwork quilts. Fresh flowers, fluffy white towels and lashings of hot water help to make your stay more special. Breakfast is served in the Old Dairy with its white washed walls and farmhouse table. Choose from a delicious selection of fresh fruit, yoghurt, cereals and muesli. Enjoy a cooked breakfast of your choice, including vegetarian. All our produce is local free range and cooked on the Aga. Bread and preserves are all homemade. Coombe Farmhouse really is the perfect place to relax ... but... if ever you do need to stay in touch with the outside world, we have a WiFi tablet available for you ! Walk along the lane to where a path takes you to the top of Trencom Hill and enjoy the breathtaking panoramic view from St Ives bay and Godrevy Lighthouse in the north, to St Michael’s Mount in the south with its castle, home to the Lord St Levan. Adjacent to Coombe Farmhouse is the "St Michael’s Way", the old pilgrim route from the North Cornwall coast at Lelant to the South coast at Marazion - one of the best walks in Cornwall. Both ends of St Michael's Way connect to the the Costal Footpath. After a day’s exploring, relax in our gardens, watch the hens or meet our friendly Jacob sheep. Whatever you choose to do, Coombe Farmhouse offers the combined benefits of a relaxing and comfortable place to stay with easy access to all West Cornwall’s attractions. We welcome children over 16 years old.